Niladri’s Wine Musings – An honest and sometimes idiosyncratic take on the fascinating world of wine! I must admit that I’m in awe of Vir Sanghvi’s understanding and articulation of everything related to wine. It not only surpasses the collective wisdom and knowledge of all of India’s wine minds put together but also gives a fresh new meaning to reasoned wine critiquing (I can’t help if you feel it is more obsessive-compulsive rather than reasoned). This is amply proven in an article he recently wrote which eloquently blamed the focus on wines as the main reason for the absence of a thriving tea culture in our country’s hotels. Let me ask – how many of us can boast of an ability to pitch wine against tea and not sound like a know-it-all, albeit ignorant, snob? Can we ordinary wine folks dare to compare the two, considering their completely different significance in a hotel’s beverage offerings, with hugely differing implications on revenue/profit as well as guest expectations? Will it ever strike our useless minds to draw parallel between the two just because ‘terroir‘ may be a common link? And above all, wouldn’t it be termed reckless if anybody else conveniently contradicts himself about the importance of wine in the Indian hospitality industry? While most of us think that not enough is being done to promote wine in Indian hotels, this enlightening article shatters that myth. In reality, it seems the hoteliers “who make such a tamasha about their understanding of the wine culture” have been spending all their time, energy and valuable resources to rival the best wine programs in the world. So what if they serve “dodgy imported wines, which are often spoilt or oxidised by the time they get to the hotel?” Spare a thought for the naive and uninformed folks who spend thousands on these wines. And shame on the wine importers who bring dodgy wines in the country. Whatever happened to business ethics and morality? And finally, stop referring to your restaurants as ‘food and wine’ destinations. You are expected to do at least this much not to let a western concept prevail over our national drink. In conclusion, let’s hope Vir Sanghvi will lead this noble initiative to promote tea drinking in India by refusing to consume any wine in hotels even if it is offered ‘on-the-house’, which is often the case. Re-plugging this popular post on LinkedIn for the benefit of the followers of this site. The Indian wine ecosystem is evolving and with the rising profile of wine there is a lot of interest in business opportunities available in the sector. But what are the challenges? More importantly, how feasible is it to enter a business whose target market is less than 1% of the total population? I have always considered the Indian wine market an enigma – on the one hand there is a seemingly eternal and ceaseless optimism about its future, on the other, on-the-ground realities and challenges seem to be too big to overcome in realising its true potential. But this has not deterred many optimists to venture into this tricky market, achieving mixed results at best. As an active member of the Indian wine community, I am often asked about business opportunities and the pros and cons related to various types of wine businesses here. Although most queries reflect the above mentioned quandary of a wannabe entrepreneur and existing businesses elsewhere, it is also interesting to notice that many feel that the time is right to be a part of the Indian wine story. A lot of this optimism can be attributed to the buzz created by media stories, a lot of which unfortunately is often recycled and are far from ground realities. Therefore personally, I always take a cautious approach in this matter, not because I am not hopeful of its future but due to a realistic assessment of the present market conditions that are far from being conducive for existing wine businesses, let alone new ventures. So what are the opportunities of entering the Indian wine market? Let’s explore three areas which attract the imagination of most people nowadays when they think of the setting up a wine business in India. A vast majority of the queries that I receive relate to these sectors. Import/distribution: This remains the most sought after option of entering the market but also has a disturbingly high failure rate as the short and medium term returns in this business are disproportionately low vis-a-vis the initial investment. Those aware of the market know that in the last few years, many importers have shut shop in India, some incurring heavy losses. The survival, scalability and subsequent success of import and distribution of wines is only possible if substantial volumes are generated in the on-trade segment, which remains the main source of wine consumption in India. With hotels offering a meagre 20 to 25% on of CIF (Cost, Insurance & Freight), the margins often get diluted in huge costs a bottle of wine incurs upon arrival on Indian shores – customs duties, bonding & warehousing, taxes to state governments, brand registration charges, renewal of registrations, transportation etc. This leaves very little at the hand of the importer, a reason why achieving volumes is the key. Since this poses a big challenge, many have added spirits and beers to their portfolio which offer better margins and certainly volumes. A point in case is Brindco, India’s largest importer and distributor, whose success can largely be attributed to the top brands of spirits & beers it represents in India, including those from the multinational behemoths like Diageo & Brown-Forman. Then comes the complex task of creating and mastering the art of smoothly operating a distribution network. You can either create your own or use an existing network to reach your customers. While the first requires huge cash injection and fulfilling endless legal obligations, the latter will see your cost skyrocketing and margins plummeting. Finally, there is always the competition to deal with. A new entrant will not only have to put in everything to grab a share of a highly sought-after pie, he also has to find ways to remain relevant for the long term – no mean ask in a highly competitive but very limited marketplace. Wine E-commerce: Although India is witnessing an online revolution with eCommerce start-ups leading the way, wine is unlikely to be a benefactor of this boom in the near future, mainly owing to strict (and archaic) government laws related to alcohol consumption. Apart from plethora of hurdles in selling alcoholic products online, the logistical nightmares of lawfully operating such businesses can be too many. Take home delivery for instance, which is an integral component of an entire eComm cycle – a lot of state governments do not allow alcoholic products to be delivered at home making it extremely difficult to justify the very existence of such businesses. Some online wine sellers have found a way of circumventing this problem by routing the orders through retailers who in turn deliver the wines to customers, illegally in most cases. One should also be mindful of the risks of online wine businesses due to the socio-political sensitivity to alcohol. It may not come as a surprise if one day the government cracks the whip and decides to ban any form of liquor sale on the internet anywhere the country. Many state governments have done so in the past and there is no guarantee that such a step will not become a pan India phenomenon in the future. Retail: This, in my view is going to be the future of wine business in India. With rising awareness, coupled with highly restrictive prices in the on-trade segment, consumers will slowly drift towards buying wines from retail. It will also be in line with the trend in other wine economies where wine retail followed a natural progression to prominence and now contribute significantly to the local wine economy (Hong Kong & Singapore are good examples). But there is a catch – since India is unique in terms of the challenges traditional alcohol businesses face, the key to success in any retail venture will also have to be unique. A typical brick and mortar and supermarket model has to be complemented by add-ons aimed at unwavering customer focus, mainly to educate and engage a loyal membership base. These may range from regular tasting & appreciation sessions, brand training, wine masterclasses, paired dinners etc. The Indian wine story stands at the crossroads where it will either find a much anticipated relevance in the world of wine or will remain a laggard owing to the burden of strict laws and tax regimes. Any new entrant in the business will have to find a way through this ‘either/or’ dilemma to decide whether to set up shop in the country. This is a reproduction of the LinkedIn article I wrote a while ago, for the benefit of followers of this blog. Businesses exist not only to make money but more importantly to solve problems faced by its current and prospective customers. In fact they make money and thrive because they clearly identify the problems and solve them. In business jargon these problems are referred to as pains or pain points. Simply put they are the shortcomings which prevent organizations from achieving business excellence. Although at a micro level among larger scheme of things, wine offerings and services related to them in the hospitality sector also address many of its guests’ needs and issues they face regularly. So it is critical that such pain points are identified as early as possible and solutions found with equal urgency. During the course of my wine and hospitality career, I have come across a number of issues which afflict the hospitality industry’s wine and beverage operations. Some of these are generic, but most are specific with a direct bearing on guest satisfaction, their expectations and in turn the success (or otherwise) of the wine program. 1.) Lack of a strong wine culture: Although highly subjective and abstract, it still occupies the top of the list of wine pains of many organizations. 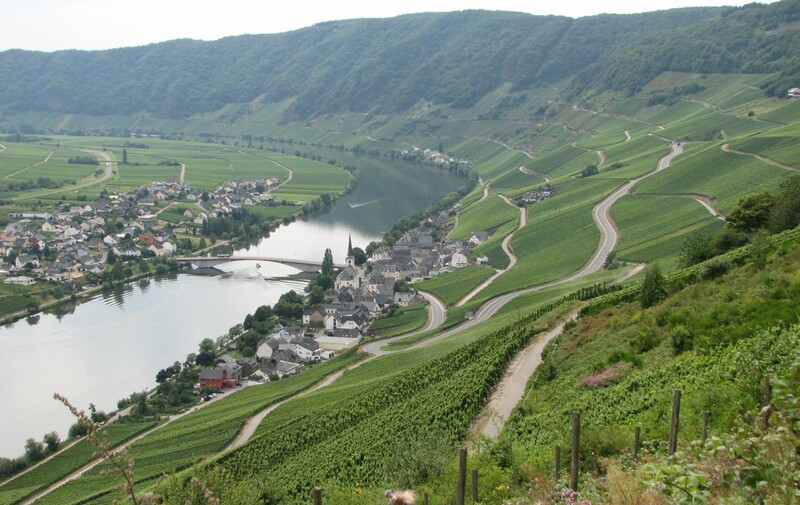 A ‘wine culture’ is typically intangible in totality as it comprises of many related factors. Most of us in the industry know that there is no short cut to improve the wine culture of an organization, but the good part is that if you have devised a clear and definitive wine roadmap/vision, it will not be an uphill task either.See which of the following points mentioned below applies to your organization’s wine pain. 2.) Maintaining guest loyalty: Hotels and restaurants go to great lengths to retain customers, and in today’s fiercely competitive environment it is not surprising that guests have become more adventurous in their choices. Unless the wine offerings and service standards related to them are continuously upgraded and refined, scoring high on guest loyalty would be a challenge. Those who have been successful in creating a niche for themselves in wines have done so by making it as one of the key features of their overall hospitality profile and important differentiator from the competition. Why not adopt a similar approach when it comes to your wine program? how refined every other component of the wine initiative is. It is therefore of utmost importance that your frontline wine staff are empowered with all the knowledge and skills expected of a professional cadre. 2.) Lack of quality wine infrastructure: To ensure flawless and highest quality service delivery a robust wine infrastructure is must. Whether it is advanced storage and cellaring facilities, variety of glassware, service equipment, assorted accessories or a highly user-friendly POS system, a shortcoming in any of these components could pose a negative effect on the overall wine operations thereby jeopardizing the organization’s business objectives. 3.) Lack of innovation and imagination in wine offerings: Today’s wine drinkers are some of the most aware and informed consumers, which in turn have led them to be more expectant (rightly so) of the quality of wine offerings. This genuine need of your guests calls for out of the box ideas to drive your wine program. Luckily, wine offers so many options for innovation that one may never run out of ideas which will keep you ahead in the ‘race’. 4.) Lack of focus on technology: Wine is all about ‘personal touch’ but that does not take away the complementary role technology can play in enhancing both the guests’ wine experience as well as streamlining operations. Right from incorporating state of the art automatic wine dispensers and storage systems to having POS (Point of Sale) software integrated with latest CRM (Customer Relationship Management) options or highly efficient cellar/inventory management tools, technology can play a vital role in making your wine program that much more competitive. 5.) Poor inventory management: One of the most overlooked pains, poor inventory management is at the heart of many woes that affect F&B establishments. While most of it concerns back-of-the-house operations, on many occasions substandard stock management also affects guest dining experience. They lead to erratic availability, and in worse cases non-availability of wines, poor stock rotation, valuable cash-lock-in, oversupply or supply crunch and many other issues. 6.) No auditing, performance tracking or improvement mechanisms in place: Smart businesses, especially market leaders, have one thing in common – they all excel in identifying areas of continuous improvement in their products or services. The systems to locate problem areas may differ but the ultimate aim of achieving excellence through refinement remains an universal success mantra. The F&B service sector is no different. You simply cannot afford to maintain ‘status-quo’ in your service offerings. From creating best-in-class audit check lists to employing cutting edge training methods, every wine program should endeavor to continuously improve and upgrade their products and operating procedures. 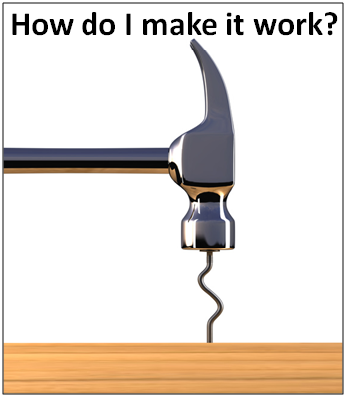 Have you come across any other wine pain points in your organization or during your career? Let’s hear about them. Following requests from my peers and industry colleagues, in this LinkedIn post I shared the important factors to keep in mind while compiling wine lists for restaurants. I hope the readers of this blog will also benefit from the points discussed in the article. A wine list is not just a menu with aesthetically laid out items and prices. Apart from being the face of any wine program it is also a document which demonstrates an organization’s wine vision. What do you wish to achieve from your wine program? Is it just revenue which drives your wine selection or the intangibles are also equally important? Does your portfolio indicate a special focus on quality and professionalism? And above all, how do you differentiate the quality of your wine offerings from that of your peers and competitors? Focus on your niche & USP: Every wine program must find its niche to be able to stay relevant in a highly competitive market. It can be just one unique feature or combination of features, but something that sets your wine program separate from the rest is key to achieving the first step to credibility in a market flooded with run-of-the-mill offerings. which creates a positive impression in your guests’ mind? 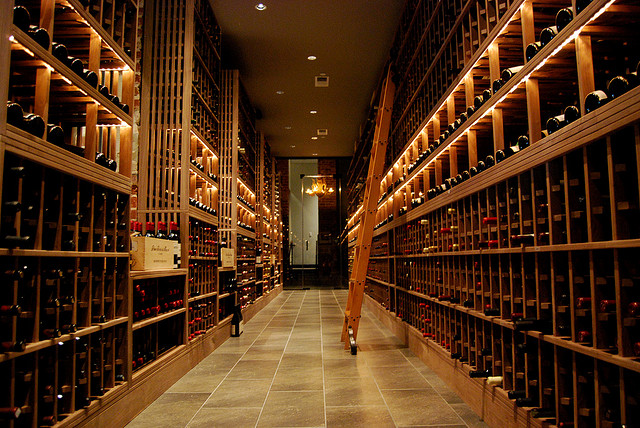 And finally, what role does the wine list play in creating an exceptional dining experience? The possibilities are many, one has to decide what works for them the best considering the business objectives, customer profile and the overall F&B concept of the restaurant. Achieve that elusive balance: One of the hallmarks of best wine lists is the all-important balance of vital components which go into their making. Be it a synergy between regions/appellations, a proportionate distribution of grape varieties and blends, a fair representation of styles and types or even a good mix of price points. Of course a lot depends on the restaurant’s profile and the cuisine served but on the whole a well-harmonized wine list adds immensely to the organization’s wine culture. It also heightens your guests’ comfort level while navigating through the list and in deciding about which wines to choose. Move beyond clichés: Some wisdom about wine lists are well and truly past their use-by date, while a few are overused to the extent of being monotonous and predictable, and some fall under the veritable ‘one size doesn’t fit all’ adage. Sticking to them can prove to be a hurdle in creating great wine offerings. Take for example the most widely held view about the size of inventory/portfolio – lot of menus, in the name of depth and variety, offer thousands of choices to guests. But is it really necessary to to carry so many labels to achieve your business goals (remember a large inventory not only locks in valuable cash but can also proves to be a logistics and maintenance nightmare)? Not if your wine team has perfected the art of deriving the most from a lean but well-balanced menu. 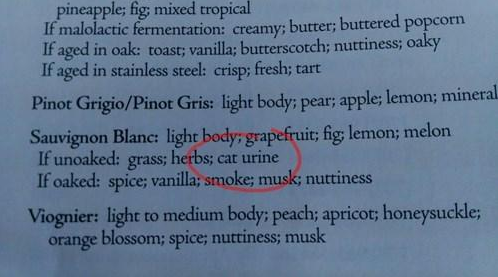 Leave alone laymen, even a wine aficionado is bound to go “What in the name of Bacchus is that?”after seeing this description! Although the intention seems to be right but the execution leaves a lot to be desired for. Such communication faux-pas not only makes your list look unprofessional but also neutralizes your vision. No doubt your sommelier and wine team will be at the rescue but such mistakes are bound to create a damaging first impression. Promote: Lastly, you have a great wine list which your guests keep raving about but are you promoting it enough to think beyond the word-of-mouth element? Let’s face it, a wine list is only as good as its standing in the market and the results it brings to the business, both tangible (revenue) and intangibles (goodwill, stature, luxury quotient etc.). Thanks to the power of social media and many other digital platforms it has become easier to reach out to customers. 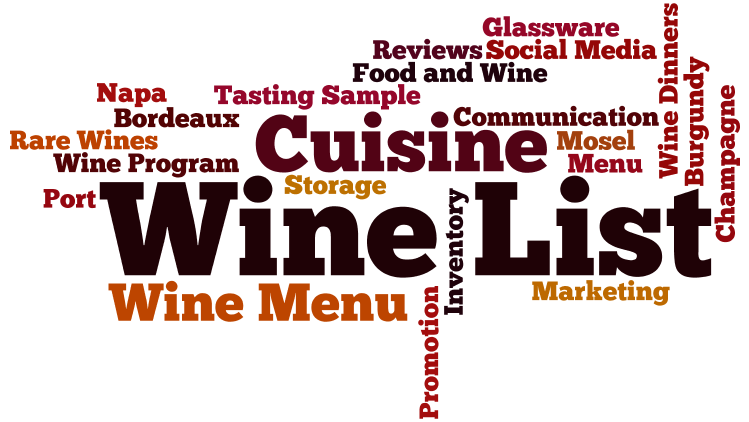 Make maximum use of them to engage with food and wine lovers and let the world know about your wine program. One caution here – many organizations have become too dependent on social media to spread the ‘wine buzz’ but online promotion should be complemented with conventional PR and marketing efforts that have stood the test of time, like press releases, media engagement, wine dinners, tasting and sampling events etc. Apart from creating wine lists for many restaurants, with different themes and concepts, I am also passionate about studying and analyzing wine lists. This interest has grown over the years and has helped me to understand and learn the nuances which contribute in the making of world-class lists. If you have come across a great wine list or have suggestions and ideas about one, do share with the readers. It will be useful learning for everyone. Those active on LinkedIN may know that the professional networking site has just launched an article/blog publishing platform for some of its millions of users. The idea is to allow the members to make the most of targeted reach to fellow professionals and industry watchers. The wine industry and its functioning as we know today – dynamic and extremely progressive, is a far cry from a confined and traditional affair about two decades ago. While globalization has played a vital role, increased consumer awareness and a corresponding demand for more refined products and services, is at the crux of this dramatic transformation within a relatively short period of time. This demand, in turn, has given rise to various organisations and ideas which have helped shape up the contemporary trade and enhance its global appeal. In fact, wine’s rising popularity around the globe, especially in the last decade, wouldn’t have been possible without these innovative brands and smart individuals behind them. In a sense they represent the building blocks of the modern wine world. Wine’s fascinating turnaround story is often measured by its commercial success worldwide, which is reflective in the stories we mostly come across in the media – like this recent one about most powerful wine brands. But in spite of economics being the ultimate yardstick of wine’s increasing footprint, the industry owes a great deal to the actual drivers of the contemporary business. The list below mentions the most notable of these brands, with an international presence and irrespective of their commercial prowess. 1.) Technology: Most of these are young companies which followed the start-up route during the wine boom of the late nineties and the first decade of this century. They have not only acted as vital connectors of information highways of the wine world but also simplified the way we gather information. CellarTracker: Those who use/follow CT swear by it, and why wouldn’t they? A one of its kind cellar management tool, it is the largest and most credible platform for serious wine lovers with an enviable database of tasting notes, wine reviews and recommendations. Eric LeVine‘s gift to the wine world is an invaluable one and will remain so for a long time to come. Wine-Searcher.com: If there is one organization which has brought transparency and accountability to the online wine trade, it undoubtedly has to be Wine- Searcher.com. Since its inception in 1999 in London (later moved to New Zealand), the company has gone through a dramatic transformation – both as a wine search engine, which remains its USP, and in its latest avatar as a wine news and information site. I had the good fortune of being a part of Wine-Searcher’s wine team and witness its raw ability to empower the wine consumer. Its strength lies in the amount of data it has accumulated over the years, and more importantly the ingenious way the data is integrated to fuel its search engine software. Social & professional networking sites: With the advent of web 2.0 and the corresponding rise of social media, it seems there is no limit to how much wine information is now available online, most of which is dynamic and real time. Today’s vibrant wine ecosystem is unimaginable without Facebook Likes & shares, Twitter’s witty one liners, LinkedIn’s professional inputs or Instagram’s creative photo sharing. Apps, apps & more apps (more the merrier! ): With the increase of tech-savvy wine consumers, social media engagement and usage of mobile devices, it is but natural that so many mobile apps have flooded the market of late. They offer a host of features, ranging from label scanning for tasting notes and ratings, to those which let you sift through restaurant wine lists remotely, plus many many more. 2.) R&D, education & training: This sector of the industry is probably the most vital considering the scope and opportunities of spreading knowledge and information, particularly in young and upcoming wine cultures. A case in point is this short video about China’s rise as a major wine market (note that education is the most common keyword here). WSET: The Wine & Spirits Education Trust is at the forefront of wine education in the world. Whether it is basic wine knowledge or specialist qualifications, WSET’s contribution in spreading awareness about wine remains unparalleled. Court of Master Sommeliers: The hospitality industry provides a major source of wine consumption and enjoyment around the world and therefore it is of utmost importance that a trained manpower is available to fulfill this requirement. CMS offers major industry-recognized sommelier certifications, including the holy grail that is Master Sommelier. Other wine education providers: While there are many institutes around the world offering wide ranging courses; from wine production to marketing, there are some which have carved a niche for themselves. The likes of Roseworthy (University of Adelaide) and UC Davis stand out for their quality of wine production courses, whereas BEM Bordeaux has emerged as a chosen destination for business related studies. AWRI: A pioneer in R&D field, the Australian Wine Research Institute’s repertoire of ground-breaking research, especially in wine production, has helped producers around the world to overcome many challenges in the vineyard and winery, resulting in creation of more refined products. Whether it is advanced vineyard management, improving vine health, clonal research, sustainability innovations, simplifying wine microbiology, demystifying wine ageing, important studies on wine closures or valuable research on market behavior and consumer preferences, this organization’s list of research work has made it indispensable to the wine industry. Then there are organizations like Wine Intelligence and IWSR (International Wine & Spirit Research) who excel in keeping track of market sentiments through specialized studies which include a range of market insights, trends and consumer behaviors, among others. 3.) The marketplace:With rapidly changing business dynamics and fierce competition among brands to capture new markets, there has been a revolution of sorts in how wine is sold today. While brick and mortar outlets still exist, their monopoly has steadily declined and replaced by numerous other ways consumers are able to source wine today. Liv-Ex: Although not a place where you can directly buy wine, it makes to this list solely on the basis of the unique proposition it brings to the fine wine market. It is like the wine world’s stock market, where wines are traded online and over phone and valued against Liv-Ex’s large data of historical and current wine prices. Those with a stake in the fine wine market or wish to have their fingers on the pulse of the market, consider it as an invaluable resource. Online wine stores: Wine e-commerce is big business today and with technology playing a big role in the promotion of the beverage, it is hardly surprising that they have mushroomed all over the world and catering to a big chunk of the market. Futures market: Buying/selling wines as futures is not a new phenomenon but in today’s wine economy it has gained added significance owing to a renewed focus on premium wines and a healthy perception of them being good source of alternative investment. No wonder, the futures/en primeur market is seen as a barometer of a country’s fine wine potential. Auction market: Those who followed the wine boom of the last five years which unfolded in the east, especially in Hong Kong, Singapore and mainland China, realize the importance of the auction market in generating a wave of interest and passion about the beverage. One may argue that this form of trading is super niche and hence has limited reach but the buzz which accompanies fine wine auctions is enough to make this form of trading a significant player in today’s wine economy. 4.) Critics, writers and domain experts: The contemporary wine world owes a lot to these individuals for spreading their wisdom and knowledge about wines and who positively influence our thoughts/opinions about the beverage. Whether it is an acclaimed writer, a prolific blogger or a mass-followed taster and critic, they have deep understanding about the subject and the dynamics of our industry. Thanks to their efforts, coupled with opening of new channels of communication, wine’s appreciation is on a steady rise worldwide. (The list of such personalities is too long to be included here). 5.) Sommeliers: The new breed of sommeliers are not just traditional wine servers – they are the new-age ambassadors of wine wielding enormous clout in the trade, a reason the hospitality industry lays a lot of emphasis in hiring top sommeliers to run their wine programs. 6.) The wine media: Last but not the least, how can our vinous thirst be quenched without the regular supply of news, views and analysis about virtually everything happening around the wine world? In spite of alternative sources of information (read social media) making inroads in the wine ecosystem, a vibrant mainstream wine media is still, and will remain, the primary source information. Among many hotly debated issues in the wine world today, including some contentious ones, alcohol level in wines is one which attracts a lot of scrutiny from opinion makers as well as consumers. A lot of pundits have expressed their dismay over increasing alcohol potency in modern-day wines and educated us on the likely fallout of this trend. As alcohol abuse increases, this issue is likely to be a burning topic in the wine world for a long time to come. But do we need to press the panic button as yet? And more importantly, don’t we need to adopt a more balanced approach when discussing the complex subject? The wine media is awash with one-sided stories about what is thought to be a ‘negative trend’ in our industry, but this post is an attempt to look at the larger perspective affecting alcohol content in wines. Serious health concerns related to alcohol abuse. One of wine’s uniqueness lies in its compatibility with food but wines with high alcohol are hard to pair with many dishes, especially those with hot spices. The opposite is also true – a very light wine may not be compatible to many cuisines owing to their richness. Balance, which is probably the single most vital factor in deciding a wine’s quality, is often compromised when alcohol level is disproportionately high. All the points above are self-explanatory and intimate to the subject. They are the prime reasons why most influencers of our industry raise concerns about this trend, and rightly so. But apart from genuine concerns, we also often come across vibes that ‘sound right’ and which a lot of wine consumers ‘like to hear’. In other words, is there an element of political correctness whenever this topic is discussed? Let’s find out. The story in question raised some interesting points which indicated that consumers prefer wines with high alcohol. To be fair in the context of this article it is important to mention here that the study was conducted involving a very limited sample size of participants from a tiny geographical area, using just one type of wine. So, its accuracy can be questioned, but since we are not here in judgement of the veracity of the research, I will limit myself to discussing some relevant facts in support of the ‘balanced approach’ I mentioned earlier. This is not the first time such studies have come up in the public domain. 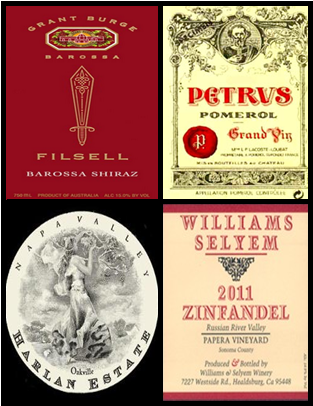 In fact a lot has been written about the well-established fact that alcohol level in wines is steadily on the rise. What could be the reason? Well, many theories have come forth, like global warming, effect of wine critics who tend to prefer such wines, evolved vineyard management, etc. Whatever the reason(s), let’s be clear that like every other economic principle, this phenomenon is also driven my market demand. Why would a certain trend find solid traction in world trade if it was not popular? Surely not because people want to get drunk fast! Wine’s unique identity has never been due to low alcohol, although in the contemporary trade there exists a category of such wines, aimed at the health and calorie conscious. But when was the last time we heard of a brand which created ripples by marketing its low-alcohol content? I haven’t come across one and the only reason I could link this to is the important role played by alcohol in influencing a wine’s charatcter. Apart from being a major factor in deciding the body of wine, it also plays an important role in the wine’s overall texture, weight and a degree of sweetness on the palate. Early harvesting ==> In warm climates where phenolic ripeness lags behind sugar ripeness, early harvesting adversely affects both the processes. In simple terms, along with less sugar and more acid, the other vital components like tannins, anthocyanins and flavouring compounds also remain unripe in such grapes. Absence of these vital building blocks is best avoided in finished wines, otherwise it often results in what is termed by experts as ‘badly made wine’ with prevalence of green and unripe characters. In short, to achieve low-alcohol naturally in moderately warm to warm climates, the trade-off can be highly undesirable for the sensory and taste profile of the wine. 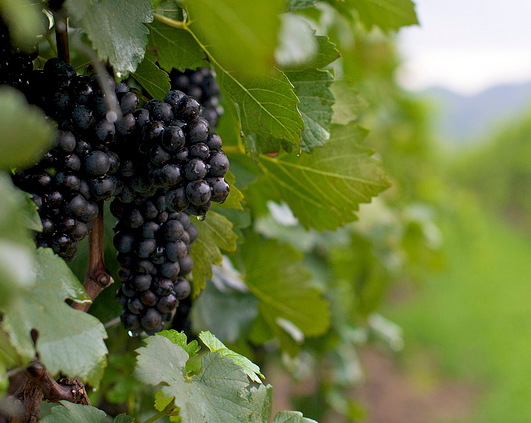 Artificial reduction of alcohol ==> In this case, full ripeness is achieved in the vineyard to ensure optimum physiological ripeness, along with sugar ripeness, and then the alcohol is reduced by employing various techniques. These range from as drastic a measure as ‘watering down’ in which the grape must is diluted with water to bring the sugar level down (and hence low alcohol), to more advanced techniques like reverse osmosis and fast spinning. While the pros and cons of these methods are yet to be scientifically established, on the ground studies have established that the quality of wine suffers immensely as these involve exposing the wine and its sensitive components to severe battering (literally). Another way, which in my view is the best possible alternative, to keep alcohol levels in check in wines is through highly advanced vineyard management where the aim is to control the grape ripening process and reduce their ‘hang time’, but still achieve the right amount of sugar, acids, tannin, colour, aroma and other organic compounds. Till the time the larger wine world does not master and practice this art, it is of little use to discuss it in the context of this article. It is perfectly okay for wines to be dismissed as ‘unbalanced’ due to high alcohol which is overpowering and disproportionate to other components, in addition to being nonconforming to its style. But otherwise, whenever a wine’s quality is simply measured on its alcohol content, there lies a risk of erroneous judgement about the wine’s quality. Rosés: ‘Blush’ variants produced in California, Mateus, Loire Rosés plus many more produced around the world to be enjoyed chilled and young. Reds: Amarone, some Chateauneuf-du-Pape, Grenache and Grenache based blends, Californian Zinfandel, South Australian Shiraz, some Right-Bank Bordeaux (big, Merlot-based wines), rich Californian Cabernet & blends (Meritage) etc. Rosés: Southern Rhone Grenache based wines like Tavel, plus many more produced in countries like Spain, Argentina and South Africa.